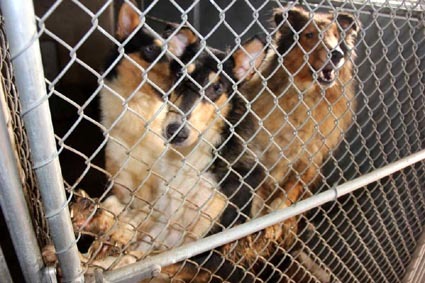 TEXAS -- More than 90 collies have been seized from a Tomball home under a court order from a federal judge as part of a bankruptcy case. 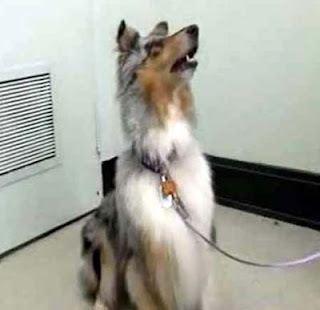 U.S. District Judge David Jones signed an order Friday allowing Houston Collie Rescue to remove dogs from the property of Dr. Elaine Kmiec, an optometrist. 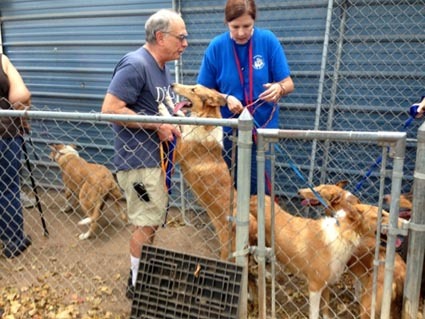 On Friday morning, Jones asked the group's president, Vickey Willard, if the organization was able to take on 35 dogs. "That's what she claimed she had," Willard said Saturday. 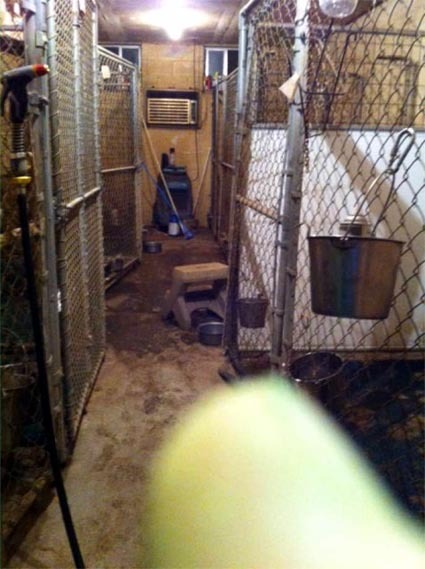 "When we left, there were 90-plus dogs, including two pregnant females. We're still counting today." It took about eight hours to get all the dogs out, because volunteers kept finding more tucked away on the property, she said. "Every time I got a batch out, I'd go back deeper," she said. "It kept going on and on. I didn't think we'd ever get them all." Many were in deplorable condition, but none died during the seizure, Willard said. 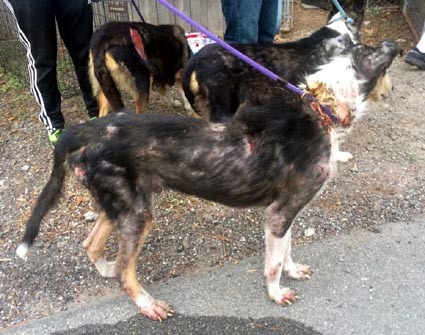 Among the maladies she noticed were ear infections, demodectic mange, overgrown nails, "hot spots" due to fleas and the smell of urine in their coats. There were puddles of urine inside the house, creating an odor that lingered on the dogs and on the volunteers who handled them, she said. The order signed by the judge Friday also noted that Kmiec had failed to meet her responsibilities as a debtor under bankruptcy law. "Most egregious is the fact that her actions (en)danger the lives of 35 animals who cannot speak or protect themselves," the order stated. "The court cannot condone the use of the bankruptcy process to inflict harm on undeserving creatures." 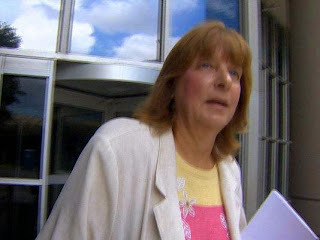 Kmiec also had dozens of dogs seized from her property in 2006 and 2007, Willard said. 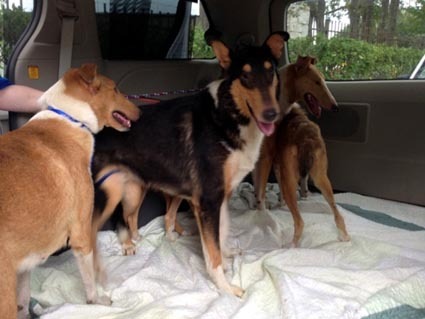 The collies rescued Friday are to remain in Houston Collie Rescue's custody until further notice, Jones' order stated. 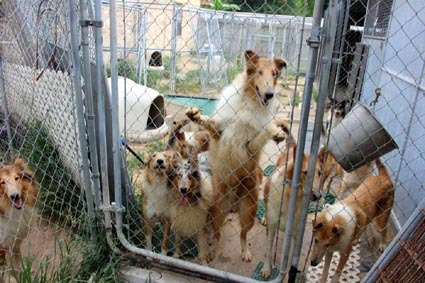 The organization is to provide the court a report on the exact number of dogs seized, their general condition and any other notable information. Willard said the 90-some dogs are together in an appropriate facility under the care of experienced volunteers and will receive needed veterinary treatment. Financial donations can be made through the group's Paypal account on its website or by mail at Houston Collie Rescue, P.O. Box 526, Stafford, TX 77497-0526. NEVADA -- “It was very long overdue. We’ve been dealing with this for over two years,” Terry Salyer, exasperated, said on Tuesday. 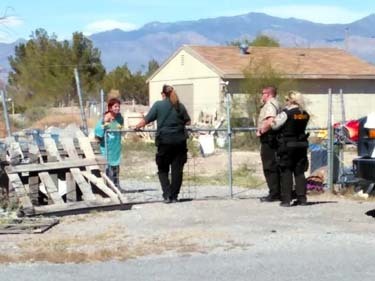 The longtime Pahrump resident watched with satisfaction as Nye County Animal Control officers and Hazmat volunteers along with sheriff’s deputies removed more than 30 dogs from attorney Nancy Lord’s property. He was joined by about a half dozen others along the 200 block of Pechstein Street. The action culminated from a two-year battle between Lord and families living in the neighborhood who say they cannot even go for an evening walk because packs of Lord’s dogs routinely roam the streets of the normally quiet neighborhood off Blagg Road. Salyer said he and many of his neighbors were pleased to finally get some normalcy back into their lives. “These dogs have been terrorizing the neighborhood for too long. Before today, we couldn’t let our dogs out and kids could not even play in their own yards. I’ve been waiting for this since eight this morning,” he said. Though Lord’s property is entirely fenced in, Salyer initially thought the dogs may have escaped by digging underneath or somehow jumping over their enclosure. “I have three dogs and late at night, I would let my dogs out in my yard through the doggie door. I have one that’s 14 years old and it got to be where I couldn’t let them out because she would literally come out, open her gate and let her dogs run loose. I feel sorry for the dogs,” he said. Nye County Ordinance 430 requires animal owners with more than five dogs or cats over the age of six months on any given property to obtain a residential kennel permit, while anyone with more than 10 dogs or cats over the age of six months to obtain a commercial kennel permit. 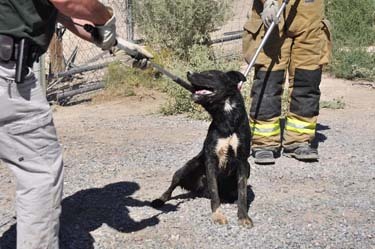 Nye County Emergency Services Director Vance Payne said a court order allowed his crews to remove enough dogs for Lord to comply with local laws and ordinances relating to the number of pets residents can legally own. Payne said his department tried on more than one occasion to settle the issue without a court order. “About two weeks ago we had received a tentative agreement from her because she understood that this issue with the number of animals on her property was untenable. She sat down and talked with myself and District Attorney Brian Kunzi. We had a very amiable discussion and she understood there was a problem. We were able to work out a relationship where animal control would pick up five dogs a week until she got down to the legal numbers. We planned to work with rescue groups in the valley to try and find a home for them. On Aug. 12, an animal control officer was ready to go and pick up the five dogs when Nancy called me and said in her heart, she just couldn’t give them up, so she backed out at the last minute,” he said. 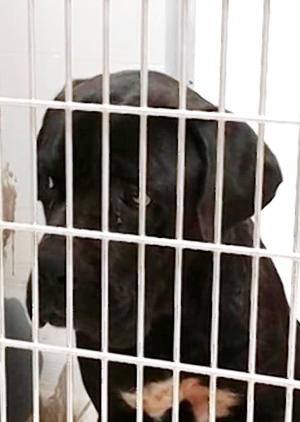 The dogs, now in possession of the Nye County Animal Shelter, are doing well, according to shelter official Tonya Brum on Wednesday. The fact that the facility constantly maintains a high number of “guests,” officials there were forced to find additional accommodations for the new arrivals. “With their ingenuity and creativity, they were able to build enough kennels to house the dogs comfortably,” Brum said. “They are in an ongoing court case so they are maintained until the case is adjudicated. The dogs are safe and secure. Brum also said the shelter always welcomes donations. “In all reality, the best donation is of course money, first and foremost and leashes. Towels and doggie beds are something else we can always use, especially for the older dogs because a concrete floor is really uncomfortable,” she said. Payne, meanwhile, said Tuesday’s action required summoning additional resources out of northern Nye County. “Tim McCarty is the animal control supervisor and we needed some strong supervision and coordination on the scene,” he said. 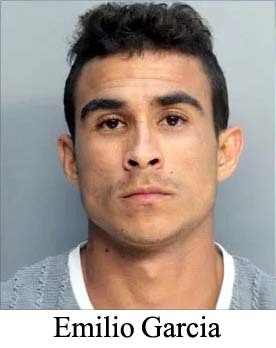 FLORIDA -- A 25-year-old man already out of jail on a felony charge for operating a chop shop and was re-arrested on Wednesday when neighbors called police concerned about a dying dog in his backyard. Police arrested Emilio Garcia and added the charge of Animal Cruelty. He appeared before a judge Thursday afternoon who held him on $5,000 bond and added that he would not be able to post bond right away until he saw the judge overseeing his first case. Neighbors described the dog as being chained to a fence and that the dog appeared to be dead. “The dog just couldn’t move. Nothing but bones. All his gums and tongue was pure white like he hasn’t eaten in God knows how long,” neighbor John Gilman told CBS4’s Lauren Pastrana. Cell phone video shows the dog lying on his side, unable to lift his head when called. He was, however, wagging his tail. “It was starving, his tongue and gums were white. The dog was skin and bones,” Alyssa Espinoza said. 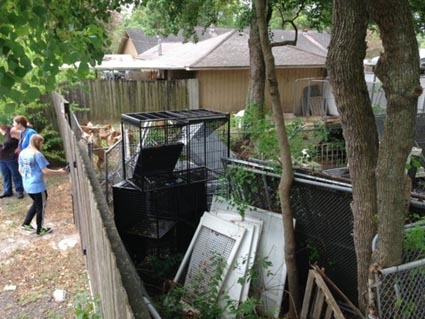 Espinoza explained she and another neighbor, a 911 operator, entered the yard at the home along SW 164 Terrace and removed the dog from the property, then called police and animal services. “It was horrible,” neighbor Shawntae McSween said. “It smelled like something was dead." The owner of the dog happened to arrive not long after cops did. Turns out, the he’s been in trouble before. Garcia was recently arrested on charges of operating a chop shop and grand theft. Garcia appeared before a judge Thursday on a new charge of animal cruelty with intent to injure or kill. The animal lovers who rushed to the dog’s rescue have some strong feelings about the man accused of leaving this dog to die. “They should be left to die and starve like that, that’s how I feel,” Espinoza said. The director of Miami-Dade Animal Services confirms there’s a complaint history at the home, but did not have the details of the calls available at press time. She said the dog remains in critical condition. He needed a blood transfusion and is receiving supportive veterinary care. 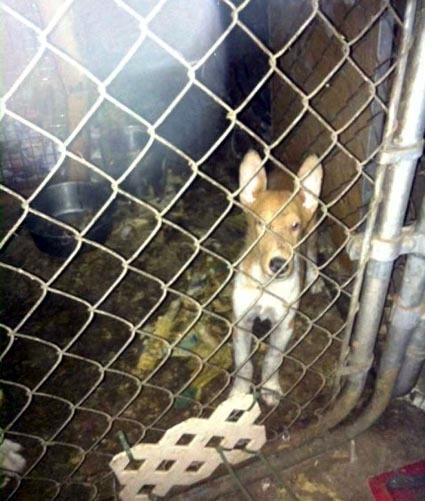 ALABAMA -- An Alex City animal cruelty suspect is facing dozens of additional felony charges. The 56 new charges against Nick Patterson, 30, deal mainly with financial matters such as allegedly stealing his grandparents' credit card and ringing up about $15,000. 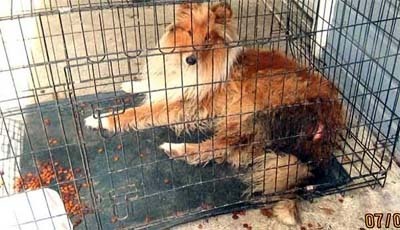 Patterson was initially charged with animal cruelty. 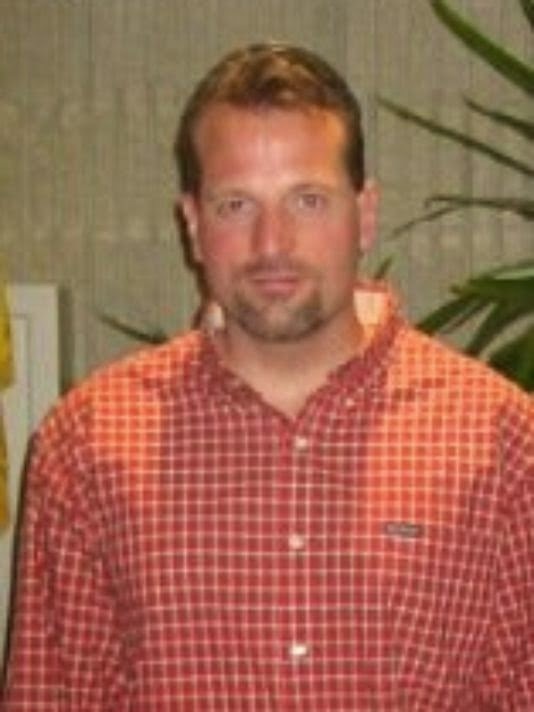 Police say he is on his way back now from Iowa where he surrendered last week. 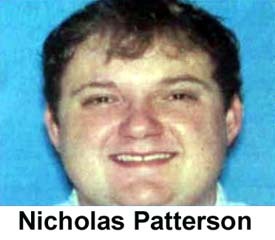 Patterson is accused of starving and neglecting his purebred Collies on his grandparents' property on Pearson Chapel Road in Alex City. 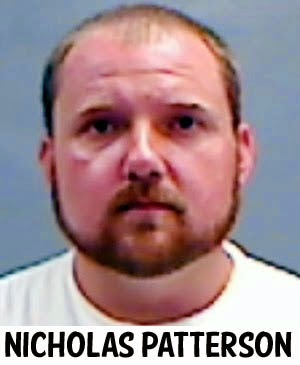 Patterson allegedly told investigators in early June he could no longer care for his dogs because he hurt his foot. "He also claimed his help quit in February. He could have gone out to check on them. Do I believe him? No sir, I don't," said Alex City Animal Control Officer Kelly Cotney. Fully grown, the dogs should weigh around 75 pounds, but investigators say Patterson's dogs only tipped 25 pounds on the day they were found. A family member alerted police. When authorities arrived, they found some of the dogs infested with maggots. "He ran out of money. He wanted to maintain a certain lifestyle and the dogs came second," Cotney said. Of the 20 animals found, 14 survived, and two are still missing. One of the surviving dogs is with a foster family while the rest are recovering at the city shelter. 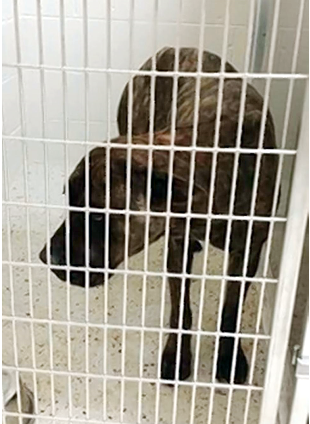 VIRGINIA -- A Chesapeake man was charged with misdemeanor animal cruelty after a dog was treated for severe trauma earlier this month. About 10 a.m. Aug. 11, a resident called Emergency Communications concerned about injuries a 5-year-old Pomeranian received while in another person's care, according to a police news release. Animal Control officers responded and found the Pomeranian at a veterinarian's office, where the dog was being treated for injuries, including multiple broken bones, according to the release. 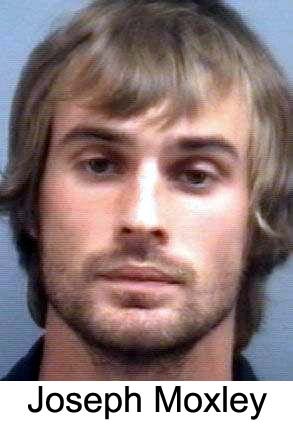 Joseph Quinton Moxley, 25, was charged and released on bond. The case remains under investigation. 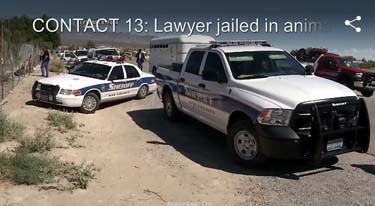 NEVADA -- Nye County authorities served a search warrant Tuesday at the home of a local attorney, confiscating some three dozen animals that had become a nuisance to nearby residents. 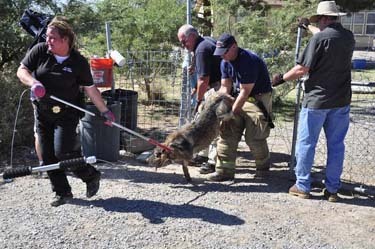 Animal control officers and Nye County Sheriff’s deputies executed an operation just before 3 p.m. to seize the animals and deliver them to an area shelter. The operation came after months of negotiations with the animals’ owner, who had already been cited numerous times. Residents living in the area of Blagg and Stagecoach roads said they were fed up with Nancy Lord and the hoard of animals living on her property. 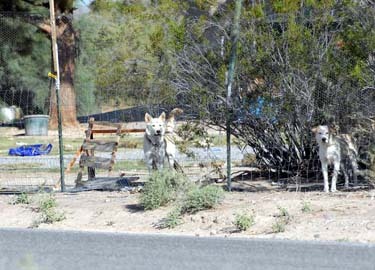 Neighbor Terry Salyer said he and other residents repeatedly called police and county officials to report dogs routinely running loose throughout the area wreaking havoc. 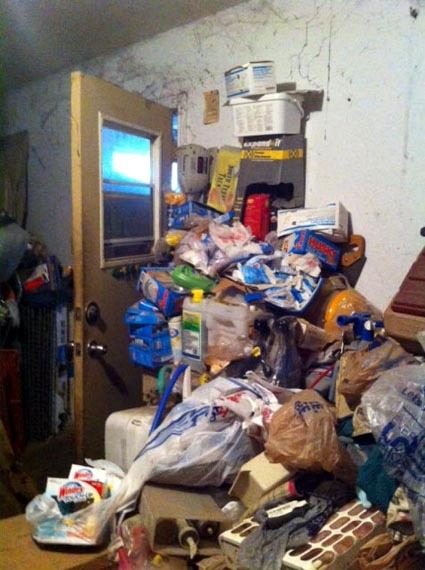 Salyer has been living at the same residence for more than 20 years. On Monday, he said he collected statements from other residents who wanted something done about Lord’s dogs. “I just received five statements from the neighbors living around here who have never filled out a statement on her. That’s not including the 30 to 50 statements that have been filled out in the past two years. The sheriff’s department has been out here four times in the past two weeks. What they did, I don’t know. 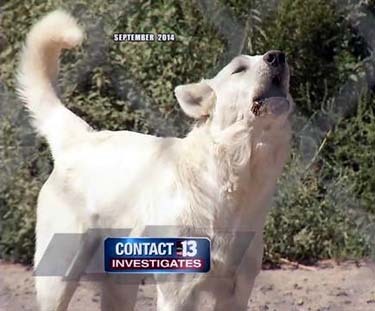 I do know that Nye County Animal Control has issued many, many citations to her already,” he said. 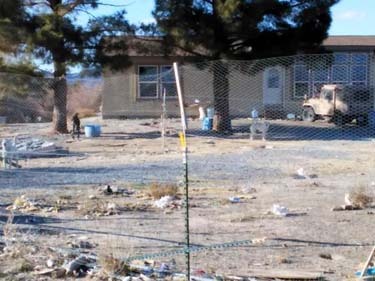 Everything changed on Tuesday afternoon when officers from Nye County Animal Control and Hazmat caravanned to Lord’s property along with sheriff’s deputies. 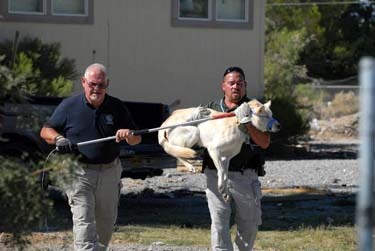 Nye County Emergency Services oversees animal control. Director Vance Payne said his crews were directed by the court to confiscate only enough dogs so that Lord becomes in compliance with ordinances relating to pets. Nye County Ordinance Number 430 requires animal owners with more than five dogs or cats over the age of six months on any given property to obtain a residential kennel permit, while anyone with more than 10 dogs or cats over the age of six months to obtain a commercial kennel permit. Lord refused to acquire those. The ordinance went into effect Oct. 8, 2012 after it was approved by the Board of County Commissioners on Sept. 18, 2012. 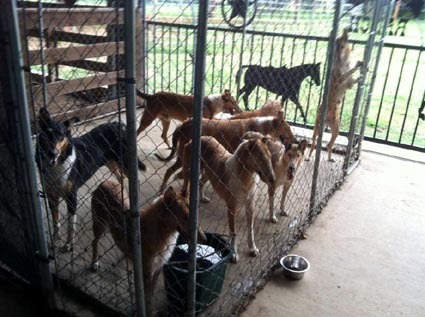 As a result, Payne said his agency had to act due to the sheer number of dogs on the property. “In Nye County you’re allowed up to nine dogs. Two of those can be unfixed or unaltered. In this situation, we estimate somewhere between 30 to 70 dogs on this property. The owner moved some to another property that we will also address today. The judge felt that we were at a point where we had to move on this. We are removing the animals and holding them on her behalf. She is still the owner of the animals and the court will sort it all out,” he said. 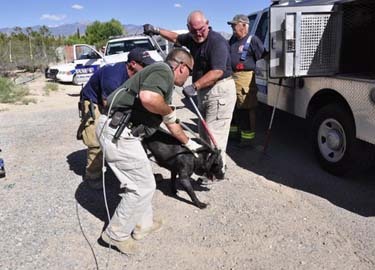 Crews spent the better part of two hours rounding up dogs of various breeds. Most appeared to be in good condition. Payne noted that if Lord possessed the proper permit, and kept her animals on her own property, there would not have been a problem. “There are different levels of permits and if you have a large enough property, and a conditional use permit through the planning department, you can have unlimited animals. When they become a threat to your neighbors, all bets are off,” Payne said. Salyer, meanwhile, said the situation has created unnecessary stress among his neighbors. “One of them is a diabetic and he can’t even walk the streets anymore for exercise. Our other neighbors can’t let their kids out in their own yard,” he said. 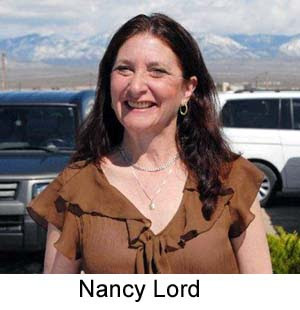 Lord told the Pahrump Valley Times Tuesday afternoon that she had problems with how the ordinances in question were drawn up. “There are numerous defects with the five dog limit. It should have been done by the town procedurally in the postings. They changed the ordinance by making it a multi-pet permit tier two, which is a lot more reasonable than a commercial kennel permit. Because of that, I did not move on it and I’m very sorry for that today,” she said. Lord revealed her intentions when and if all of her animals are returned. “All I want to do is take these animals with me. I will move out of Nye County tomorrow if I could get all of my dogs back. They don’t have room in the pound for them. All of my animals are in very good condition and the animal control people acknowledged that as well,” Lord said. Additionally, Payne said his office had made numerous attempts to avoid the situation that occurred yesterday. “The owner of the dogs has repeatedly said she would take steps to keep the dogs on her property, but it’s been to no avail. We actually have complaints going back to two years about the dogs running at large. This is not uncommon in our valley. We always have these incorrigible dogs who seem to be escape artists. The difference with this situation is the sheer number of dogs. She is in violation of Title 6 in several different areas, but the process is dreadfully slow,” he said. MISSOURI -- A 21-year-old man who got into an argument with his girlfriend is in custody after he apparently took his anger out on her pet kitten. 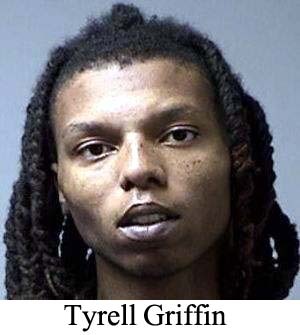 Tyrell Devon Griffin, 21, of the 11000 block of Jerries Lane in Florissant, was charged this week with misdemeanor animal abuse. His bail is set at $10,000. The incident happened in October. According to police, Griffin grabbed the kitten "while in a vengeful rage" and threw it against a wall. When he realized he had seriously hurt the animal, he fled from the apartment on Fox Chase Drive in St. Charles. Griffin's girlfriend rushed the kitten to an animal hospital, but it died a short time later. ARKANSAS -- A Jonesboro woman will appear in court on Wednesday for animal cruelty and improper confinement charges, according to a police report. According to Jonesboro Police Officer Mike Owens, Lakendra Thomas, 21, of Jonesboro was cited for leaving her dog chained to a gate post and failing to provide proper medical care for a cut on the dog's back. According to the report, Owens responded to a call about a vicious dog at 903 Haltom. 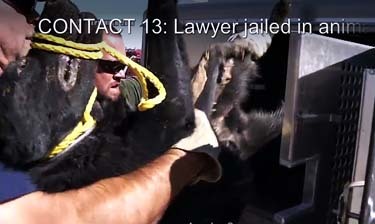 When Owens arrived on the scene, he reported that no one could get close to the animal. Owens included in the report that he “also noticed a large cut on the backbone of the dog that had been there for at least a week and had not been taken care of.” Owens reported the chain was too tight around the dog's neck. Eventually, Owens was able to calm the dog down enough to remove the chain and take it to Jonesboro Animal Control. Five days later, Owens got a call from Thomas about the dog and claimed the dog belonged to her. When asked about the cut, “she had to call her brother before she could inform me (Owens) that it had chewed through a door,” according to the report. She went on to tell Owens that a nail caused the cut. As Owens was filling out the citation, Thomas left in her car without taking the dog or signing the citation, the report stated. On Friday night, Thomas picked up the dog from animal control and was cited for state cruelty and improper confinement. MICHIGAN -- The jogger who was mauled to death in July by two large dogs on a rural road in Metamora Township was bitten at least eight times and knew, as he lay bleeding in a ditch, that he was dying, even as frantic neighbors tried to save him. Craig Sytsma, 46, had run a little over a mile down Thomas Road the evening of July 23, jogging northbound at an easy pace, wearing his sunglasses and a black Harley-Davidson T-shirt, when the pair of hundred-pound Cane Corsos attacked him. The dogs pulled him down into a grassy ditch along the gravel road and bit him numerous times in both arms, his chest and back, his left buttock and thigh, as he struggled for his life. Sytsma was "screaming and begging for help," according to the first neighbor who tried to administer first aid, even using her belt on his left arm as a tourniquet to stop the bleeding. As he began to fade, Sytsma said, "I'm bleeding out, I'm dying," and then the neighbor could feel no pulse. And even as she tried to revive him with CPR, the dogs came charging back out of the woods and she had to back away until the dogs retreated. 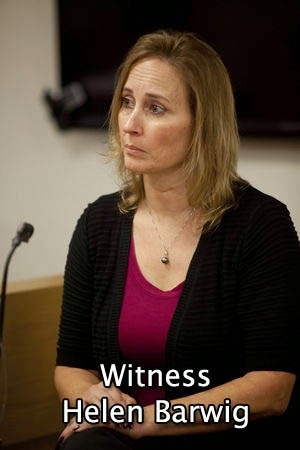 Sytsma's last moments, and the fear that had been building in the community for several months as the dogs ran loose, are documented in lengthy police reports and witness statements obtained by the Detroit Free Press under the Michigan Freedom of Information Act. Two neighbors were bitten in the months leading up to the killing and some began to arm themselves with guns. 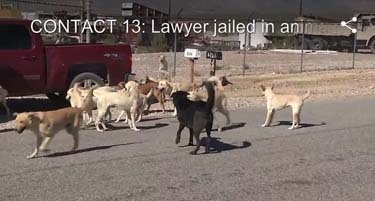 The records also present a disturbing picture of dog owners seemingly aware of their animals' aggression and violence — they were warned by the family vet that the dogs were dangerous and had been sued over one of the dog bites — but took few steps to keep the dogs corralled. The dogs repeatedly dug out of their chain-link kennel and may have done so the day Sytsma died, according to the records. The dogs' owners, Valbona Lucaj, 44, and Sebastiano Quagliata, 45, are charged with second-degree murder and remain in the Lapeer County Jail, unable to post $500,000 bonds. They will be in Lapeer District Court on Friday for an ongoing hearing to determine if there is enough evidence to send them to trial. Sytsma, a divorced father of three, had beaten colon cancer the year before and had taken up running as a way to keep the cancer at bay. A sports fan and athlete, he worked as a metallurgical engineer at Eltro Services, a small engineering firm. 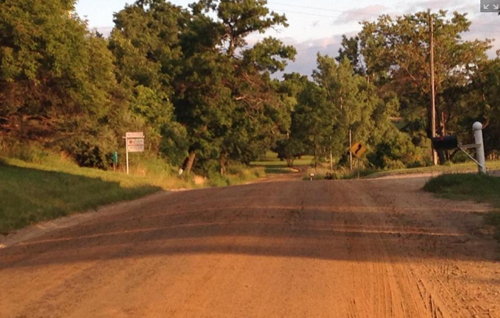 Thomas Road was a jogger's dream. A soft surface. Little traffic. No chance of crime. And it was shady that evening in July, with trees providing a rich, dark canopy along the road. The temperature was hovering around 80. Sytsma set out that evening wearing shorts, a shirt, and Brooks running shoes. He'd left his ID back at the office, as well as his cellphone, something that would later play out as police struggled to identify the man in the ditch. About 5:30 p.m., Edward Elmer was mowing his grass on a riding mower and waived at Sytsma as he jogged past. But when Elmer swung back to finish up his lawn, he saw a terrifying thing. "Sytsma was in the ditch being attacked by two large dogs. 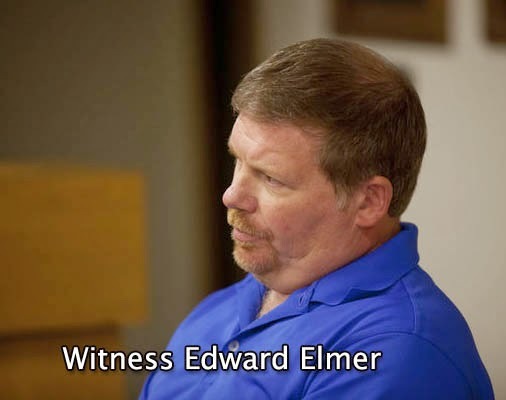 Elmer stated he approached Sytsma but realized he couldn't do much due to the size of the dogs," the report said. Elmer ran into his house and got his 44-caliber Magnum and fired four shots at the dogs, shooting one in the leg. Elmer's girlfriend, Helen Barwig, a first responder with medical training, ran out to help, armed with paper towels. But she could do nothing to save the man in the grassy ditch. She told police Sytsma "was losing a lot of blood and begged her not to let him die." Less than an hour later, Sytsma was pronounced dead at Lapeer Regional Hospital. According to police reports, an autopsy later would reveal much of his injuries were in his arms, with no injuries to his head or neck, possibly because he used his arms to shield those areas. He had bites to his chest and back as well. He had abrasions to his knees, where he likely fell onto the gravel during the attack. And he had bites to his back left upper thigh and buttocks. Dog owner Quagliata arrived home that night to find police in his drive. His wife, Lucaj, and their three children were in Boston for a family reunion. Quagliata eventually would tell police that he had locked the dogs in a kennel that morning before he left for his job as a house painter but that the dogs frequently tunneled out. Police, in investigating the property, found that a kennel made up of cyclone fence, had been patched with logs to cover up holes in the fence. But one hole was open, without "anything to deny the animals from leaving the area,"' according to the report. And police would learn that the dogs had bitten a woman in 2012 and a 73-year-old man in November 2013. 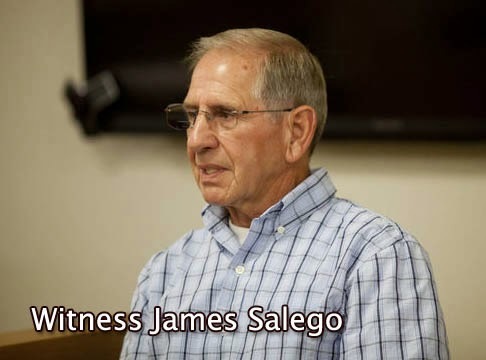 That same man, James Salego, was sitting outside on his deck with his wife the evening Sytsma was attacked, and heard the screaming and the gunshots. He told his wife, "those dogs are involved in something." The pair drove down Thomas road and spotted Sytsma in the road, as neighbors tried to revive him. Salego's wife "became very upset and they drove straight home." 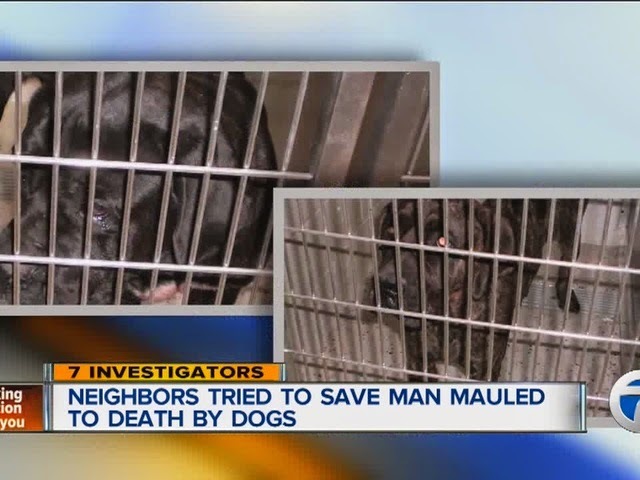 In the days following the killing, neighbors told the police that the dogs had become a growing menace in the nearly three years since the family had moved to the neighborhood. Geoffrey Petz said his grandmother lived next door to Quagliata and Lucaj and was frequently menaced by the dogs running loose. Last summer, he was confronted by snarling, threatening dogs who backed him into his grandmother's pole barn. "It was alarming enough to make me carry a weapon while riding the mower out of fear that the dog would be loose while I was mowing," he said in a written statement to police. In the days leading up to his arrest, Quagliata remained concerned about his dogs and contacted Lapeer Animal Control to make sure that Toni, one of the dogs involved in the fatal attack, was getting adequate care for his gunshot wound. Officials told his attorney that the dog was scheduled for euthanasia and that any medical treatment would have to be paid for by Quagliata. The dogs since have been put down. 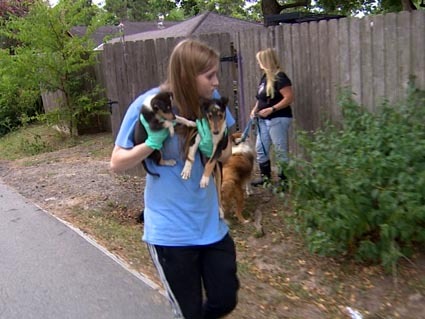 Seven puppies seized from the home have been sent to a rescue league in Texas. 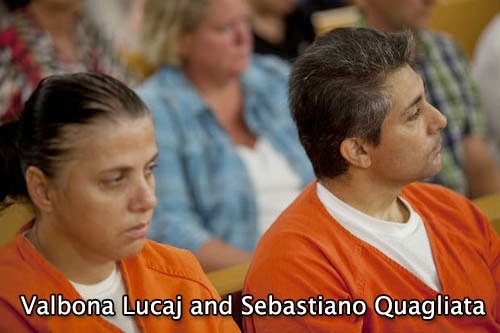 Quagliata and Lucaj face up to life in prison if convicted.